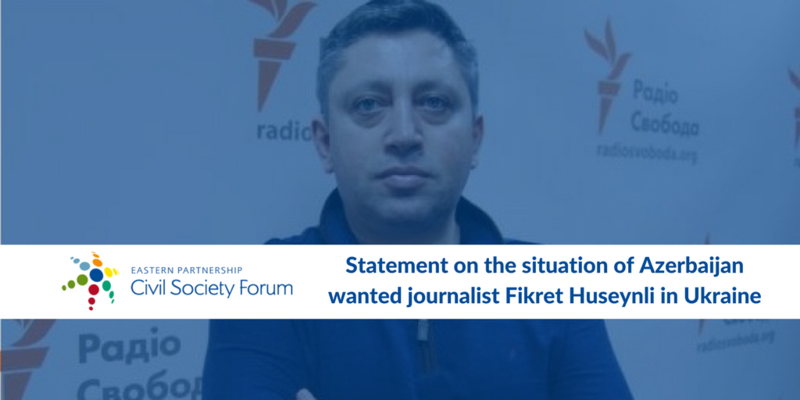 EaP CSF Steering Committee demands Ukrainian authorities to guarantee the freedom and security of Fikret Huseynli’s, a Dutch citizen of Azerbaijani origin currently hiding in Kiev, and allow him to leave Ukraine for a destination of his own choice. They urge Ukraine not to allow informal groups supported by foreign agents to interfere with its legal procedures and, therefore, respect Mr Huseynli’s legal rights. The Steering Committee members also demand that Interpol reviews its internal procedures to ensure that Member States do not exploit extradition rules to persecute political emigrants who have been granted asylum in other countries. In that sense, they ask Interpol to reject requests from member states who make false charges to secure extradition orders, especially in cases like Mr Huseynli’s when charges are clearly fabricated. Fikret Huseynli is currently in hiding in Kyiv, after escaping from a group of men claiming that they had come to enforce his extradition to Azerbaijan, at his residence in Kyiv on March 5. The group was accompanied by Azerbaijani speakers, which suggests the involvement of the Azerbaijani authorities. The perpetrators, who attacked Mr Huseynli before he managed to escape, were acting following the granting, by a Ukrainian court, of bail to Mr Huseynli on October 2017, after he was detained at Boryspil airport on October 2017. The court asked the Prosecutor’s office to report on the validity of the request for extradition by March 2018. Mr Huseynli’s detention was accomplished, in the presence of Azerbaijani speakers, by Ukrainian border guards acting on an Interpol red extradition notice. The Azerbaijani authorities claim that Mr Huseynli has committed fraud and illegally crossed international borders. This incident follows a case in Georgia last year when Afgan Mukhtarli, an exiled Azerbaijani journalist, was kidnapped in Tbilisi and taken by force to Azerbaijan, where he was brought and sentenced to six years in prison for allegedlly illegal crossing of the frontier. Previously, Alexander Lapshin, an Israeli-Russian-Ukrainian blogger, was extradited from Belarus to Azerbaijan, where he was tried for travelling to Nagorno-Karabakh.